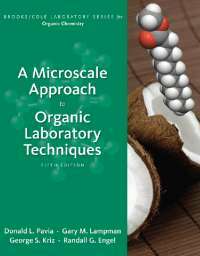 Microscale Approach to Organic Lab Techniques, 5th ed. Solvents indicated in boldface type are flammable. *Suspected carcinogen. This is an electronic version of the print textbook. Due to electronic rights restrictions, some third party content may be suppressed. Editorial review has deemed that any suppressed content does not materially affect the overall learning experience. The publisher reserves the right to remove content from this title at any time if subsequent rights restrictions require it. For valuable information on pricing, previous editions, changes to current editions, and alternate formats, please visit www.cengage.com/highered to search by ISBN#, author, title, or keyword for materials in your areas of interest. the purpose of this current edition of the microscale lab book is to teach students the techniques of organic chemistry. We desire to share our joy and love of the organic chemistry lab with our students! in this edition, we include many new up-to-date experiments that will demonstrate how organic chemistry is evolving. For example, there are new experiments involving nanotechnology and biofuels. We also include several new experiments based on nobel Prize awards, such as using organome- tallic catalysts for synthesis (Sonogashira Coupling of iodosubstituted Aromatic Compounds with Alkynes Using a Palladium Catalyst and Grubbs- Catalyzed Metathesis of Eugenol with 1,4-Butendiol to Prepare a natural Product). Also included is a synthesis of the pharmaceutical drug Aleve® (naproxen) in a project- based experiment. this experiment includes a resolution step and makes extensive use of nMR spectroscopy. there are several new Green Chemistry experiments, and the “green” aspects of experiments from our previous book have been improved. We think that you will be enthusiastic about this new edition. Many of the new experiments will not be found in other laboratory manuals, but we have been care- ful to retain all of the standard reactions and techniques, such as the Friedel-Crafts reaction, the aldol condensation, Grignard synthesis, and basic experiments de- signed to teach crystallization, chromatography, and distillation. S C A L E I N T H E O R G A N I C L A B O R A T O R Y Experiments in organic chemistry can be conducted at different scales using vary- ing amounts of chemicals and different styles of glassware. We have two versions of our laboratory textbooks that teach organic laboratory techniques. this microscale book (A Microscale Approach to Organic Laboratory Techniques, Fifth Edition) makes use of ts 14/10 standard-tapered glassware. our version of a “macroscale” textbook (A Small Scale Approach to Organic Laboratory Techniques) uses the traditional larger scale ts 19/22 standard-tapered glassware. the third edition of our small scale book was published in 2011.
organic chemistry significantly impacts our lives in the real world. organic chem- istry plays a major role in industry, medicine, and consumer products. Composite plastics are increasingly used in cars and airplanes to cut weight while increasing strength. Biodiesel is a hot topic today as we try to find ways of reducing our need for petroleum, and replacing it with materials that are renewable. We need to replace the resources that we consume. A number of experiments are linked together to create multistep syntheses. the advantage of this approach is that you will be doing something different from your neighbor in the laboratory. Wouldn’t you like to be doing something different from your neighbor? You may be synthesizing a new compound that hasn’t been reported in the chemical literature! You will not be all doing the same reaction on the same compounds: an example of this is the chalcone reaction, followed by the green epoxidation and cyclopropanation of the resulting chalcones. N E W T O T H I S E D I T I O N Since the fourth edition of our microscale textbook appeared in 2007, there have been new developments in the teaching of organic chemistry laboratory. this fifth edition includes many new experiments that reflect these new developments and includes significant updating of the essays and techniques chapters. We have included a new essay “Biofuels.” Substantial revisions were made to the “Petroleum and Fossil Fuels”essay and “the Chemistry of Sweeteners”essay. other essays have been updated as well. We have made a number of improvements in this edition that significantly improve safety in the laboratory. We have added several new experiments that incorporate the principles of Green Chemistry. the Green Chemistry experiments decrease the need for hazardous waste disposal, leading to reduced contami- nation of the environment. these experiments involve techniques such as solid phase extraction and the use of a microwave reactor. other experiments have been modified to reduce their use of hazardous solvents. the “Green Chemistry” essayhas been revised. in our view, it is most timely that students begin to think about how to conduct chemical experiments in a more environmentally benign manner. Many other experiments have been modified to improve their reliability and safety. in keeping with the Green Chemistry approach, we have suggested an alternative way of approaching qualitative organic analysis. this approach makes extensive use of spectroscopy to solve the structure of organic unknowns. in this approach, some of the traditional tests have been retained, but the main empha- sis is on using spectroscopy. in this way, we have attempted to show students how to solve structures in a more modern way, similar to that used in a research laboratory. the added advantage to this approach is that waste is considerably reduced. new techniques have been introduced in this edition. Chiral gas chromatogra- phy has been included in the analysis of the products obtained from the resolution of a-phenylethylamine (Experiment 30) and the products from the chiral reduction of ethyl acetoacetate (Experiment 28). A new method of obtaining boiling points using a temperature probe with a Vernier LabPro interface or digital thermometer has been introduced. Many of the techniques chapters have been updated. new problems have been added to the chapters on infrared and nMR spectroscopy (techniques 25, 26, and 27). Many of the old 60 Mhz nMR spectra have been replaced by more modern 300 Mhz spectra. 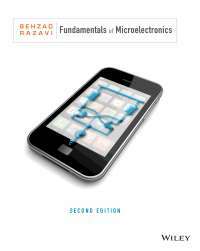 As in previous editions, the techniques chapters include both microscale and macroscale methods. Cengage Learning textbooks are sold in many eBook formats. offerings vary over time, so be sure to check your favorite eBook retailer if you are interested in a digi- tal version of this textbook. if desired, incorporate additional content from other Cengage Learning products. For more information on custom possibilities, visit www.cengage.com/custom or contact your local Cengage Learning custom editor using the “Find Your Custom Editor” link at the top of the page. We would like to call your attention to the instructor’s Manual that accompanies our textbook and is available as a digital download for qualified instructors. the manual contains complete instructions for the preparation of reagents and equip- ment for each experiment, as well as answers to each of the questions in this text- book. in some cases, additional optional experiments are included. instructors will also find helpful the estimated time to complete each experiment and notes regard- ing special equipment or reagent handling. 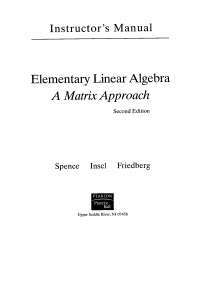 We strongly recommend that qualified adopters obtain a copy of this manual at login.cengage.com by searching for this book using the iSBn on the back cover. You may also contact your local Cengage Learning, Brooks/Cole representative for assistance. Contact information for your representative is available at www.cengagelearning.com through the “Find Your Rep” link at the top of the page. new for this edition, digital files for most text art are available for download by qualified instructors from the faculty companion Web site. these files can be used to print transparencies, create your own presentation slides, and supplement your lectures. 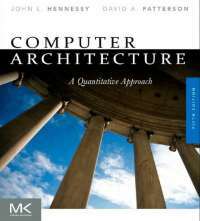 Go to login.cengage.com and search for this book using the iSBn on the back cover for details on downloading these files. A C K N O W L E D G M E N T S We owe our sincere thanks to the many colleagues who have used our textbooks and who have offered their suggestions for changes and improvements in our laboratory procedures or discussions. Although we cannot mention everyone who has made important contributions, we must make special mention of Albert Burns (north Seattle Community College), Amanda Murphy (Western Washington University), Charles Wandler (Western Washington University), Emily Borda ( Western Washington University), Frank deering (north Seattle Community College), Gregory o’neil (Western Washington University), James Patterson (north Seattle Community College), James Vyvyan (Western Washington University), nadine Fattaleh (Clark College), Scott Clary (north Seattle Community College), and timothy Clark (University of San diego). in preparing this new edition, we have also attempted to incorporate the many improvements and suggestions that have been forwarded to us by the many instructors who have used our materials over the past several years. We thank all who contributed, with special thanks to our developmental editor, Peter McGahey; acquiring sponsoring editor, Christopher Simpson; assistant edi- tor, Krista Mastroianni; editorial assistant, Alicia Landsberg; senior content project manager, Matthew Ballantyne; and associate media editor, Stephanie Van Camp. We are especially grateful to the students and friends who have volunteered to par- ticipate in the development of experiments or who offered their help and criticism. We thank heather Brogan, Courtney Engels, Erin Gilmore, Peter Lechner, Sherri Phillips, Sean Rumberger, Lance Visser, and Jonathan Pittman. Finally, we wish to thank our families and special friends, especially neva-Jean Pavia, Marian Lampman, Carolyn Kriz, and Karin Granstrom, for their encouragement, support, and patience. 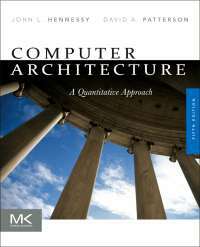 O V E R A L L S T R U C T U R E O F T H E B O O K this textbook is divided into two major sections (see table of Contents). the first section, which includes Part one through Part Five, contains all of the experiments in this book. the second major section includes only Part Six, which contains all of the important techniques you will use in performing the experiments in this book. interspersed among the experiments in Part one through Part three is a series of essays. the essays provide a context for many of the experiments and often relate the experiment to real world applications. When your instructor assigns an experiment, he or she will often assign an essay and/or several techniques chapters along with the experiment. Before you come to lab, you should read all of these. in addition, it is likely that you will need to prepare some sections in your laboratory notebook (see technique 2) before you come to the lab. S T R U C T U R E O F T H E E X P E R I M E N T S in this section we discuss how each experiment is organized in the textbook. to follow this discussion, you may want to refer to a specific experiment, such as Experiment 13. Some experiments, such as Experiment 13, are divided into two or more indi- vidual parts that are designated by the experiment number and the letters A, B, etc. in some experiments, like Experiment 13, each part is a separate but related experiment, and you will most likely perform only one part. in Experiment 13, you would do Experiment 13A (isolation of Caffeine from tea Leaves) or Experi- ment 13B (isolation of Caffeine from a tea Bag). in other experiments, for example Experiment 32, the various parts can be linked together to form a multistep synthe- sis. in a few experiments, such as Experiment 22, the last part describes how you should analyze your final product. directly under the title of each experiment (see Experiment 13), there will be a list of topics. these topics may explain what kind of experiment it is, such as isola- tion of a natural product or Green Chemistry. the topics may also include major techniques that are required to perform the experiment, such as crystallization or extraction. 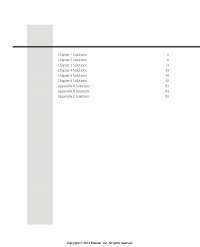 in the introduction to each experiment, there will be a section labeled Required Reading. Within this section, some of the required readings are labeled Review and some are labeled new. You should always read the chapters listed in the new section. Sometimes it will also be helpful to do the readings in the Review section. You should always read this section since it may include instructions that are es- sential to the success of the experiment. this very important section gives instructions on how to dispose of the waste gen- erated in an experiment. often your instructor will provide you with additional instructions on how to handle the waste. it will usually not be necessary to read this section. this section provides special advice for the instructor that will help to make the experiment successful. this section provides detailed instructions on how to carry out the experiments. Within the procedure, there will be many references to the techniques chapters, which you may need to consult in order to perform an experiment. in some experiments, specific suggestions for what should be included in the labo- ratory report will be given. Your instructor may refer to these recommendations or may have other directions for you to follow. At the end of most experiments will be a list of questions related to the experiment. it is likely that your instructor will assign at least some of these questions along with the laboratory report.